Pretty much all of the grounds in the top three tiers of Northern Ireland can be reached one way or another via public transport. By definition then, that also means the odd one or two are a bit of a challenge. 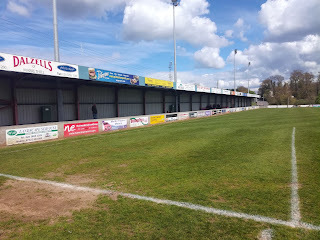 Dergview is one, as is Tobermore United, but the one that from my research was downright impossible was Loughgall. To do it, you have to get yourself to either Portadown or Armagh, and then catch a bus, a bus that doesn’t operate on a Saturday! I was approaching from the Portadown end, and given it was nearly seven miles, walking wasn’t an option, and neither was hitch hiking. It was going to have to be a taxi, both ways. 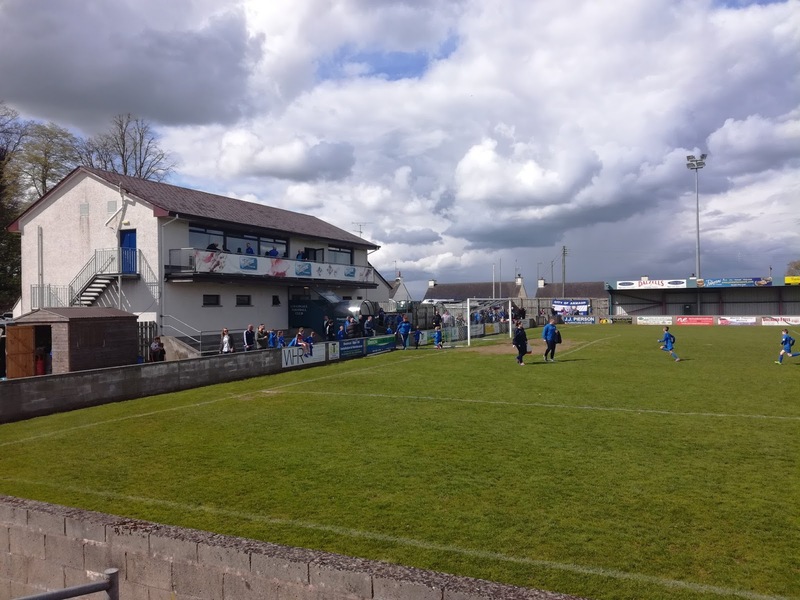 When I first started to watch football in the province, Loughgall were a top flight side, competing against the likes of Linfield and Glentoran, and from the images I’d seen, they had an impressive stadium, considering that Loughgall itself is a small village. The clubs period in the top flight lasted three seasons. Starting in 2004-05 they finished twelfth, the following season they improved that slightly to eleventh, before finishing bottom in 2006-07 and being relegated to what was then the First Division, a tier they have remained in it’s a differing guises. To put this into some sort of perspective, the village of Loughgall is home to just shy of 300 residents. 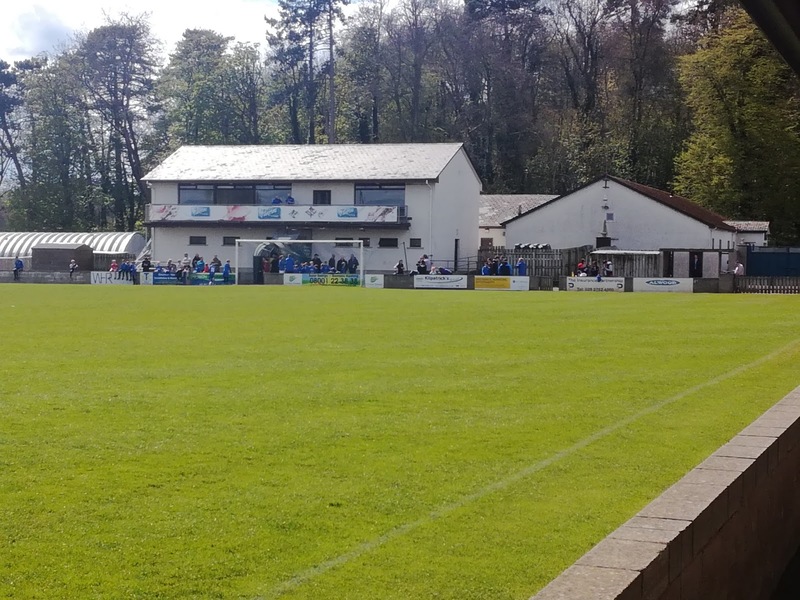 To have achieved top flight football in Northern Ireland is quite an achievement, and to have got the facilities they have, is somewhat mind blowing. The village of Loughgall has a place in the history of the Troubles in the North. In 1987 eight members of the Provisional IRA launched an attack on the RUC base, but they were intercepted by the SAS and all of the ‘Loughgall Martyrs’ were shot dead. The RUC base was right opposite the Lakeview home of the football club. 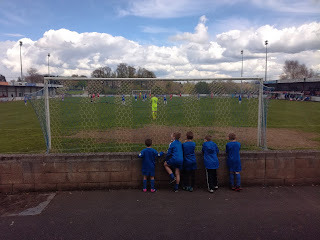 The day started well with a leisurely breakfast in Derry before a snoozy bus journey down to Belfast, followed by the train to Portadown along with some Coleraine fans who were en-route to their make or break title deciding clash at Glenavon. Once in Portadown it was over to Joe Mac’s for some refreshment and some more food, before picking up a taxi to the village which sits to the West of Portadown. But not before the taxi driver took me for a ride along the Nationalist Garvaghy Road and up to the famous Drumcree Church. A route that became headline news due to the banning of the Orange march in the mid-Nineties. That Stand Again - It's Very Thin! There was time for a quick one in the social club at Lakeview Park before having a wander into the ground to survey the scenery. What a cracking ground it is. You enter via the turnstiles behind the goal, and to your right is a two story building that houses the dressing rooms, the offices and also on the first floor what looks like a corporate area with a glass frontage and a balcony looking out over the pitch. To the left is a covered area of terracing that spans the full length of the pitch, while in the middle of it is a small row of seats just before a segregation barrier appears, a requirement of the top flight days I would imagine. Opposite the terrace is a seated stand, which straddles the halfway line, but is slightly unusual in the sense that it is just two rows of seats, one at the very back of the stand, with the second one quite a way below it attached to a much lower slung concrete step. I would hazard a guess it would seat about 200. 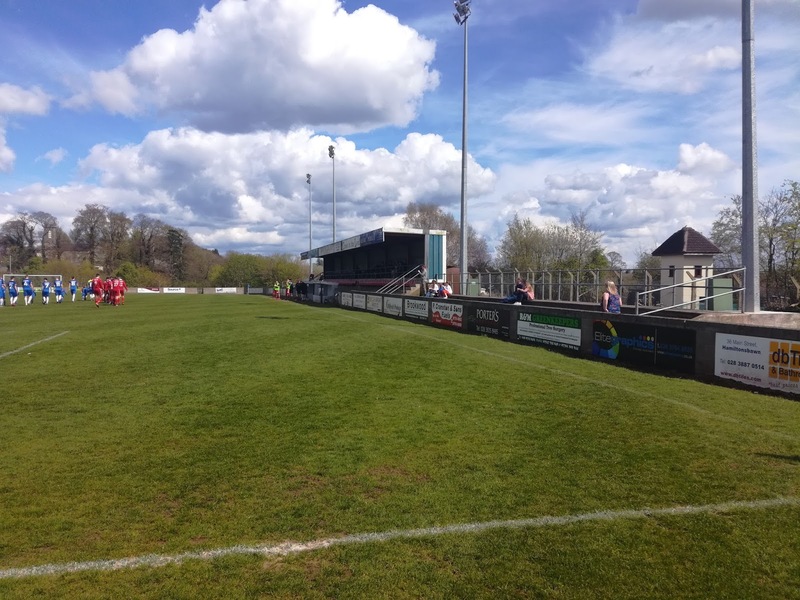 The area behind the far goal is out of bounds, but given the village location, it’s surrounded by some lovely scenic views, and of course on a sunny day as it was, there can’t be many better places in the province to watch football. 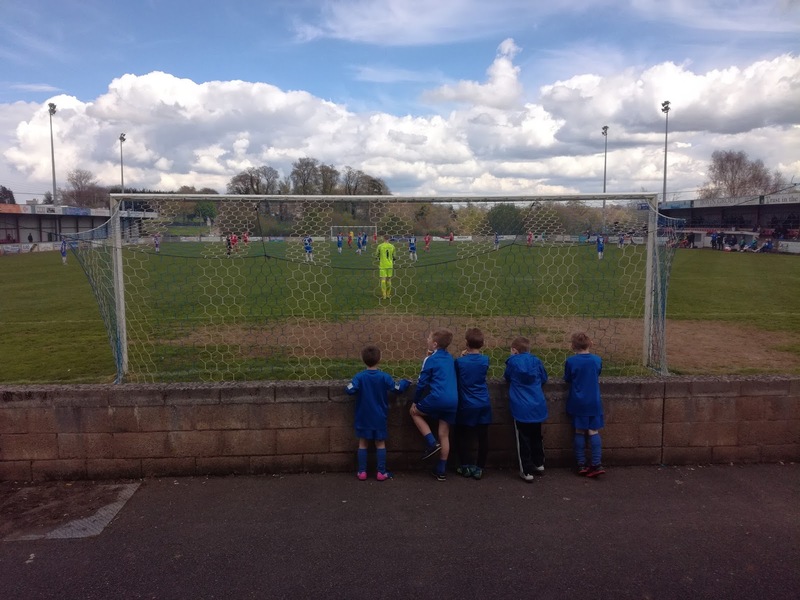 The game was effectively a dead rubber, with both sides making the ‘Promotion’ section after the league split, but neither in a position to finish in a position to challenge for the top flight. 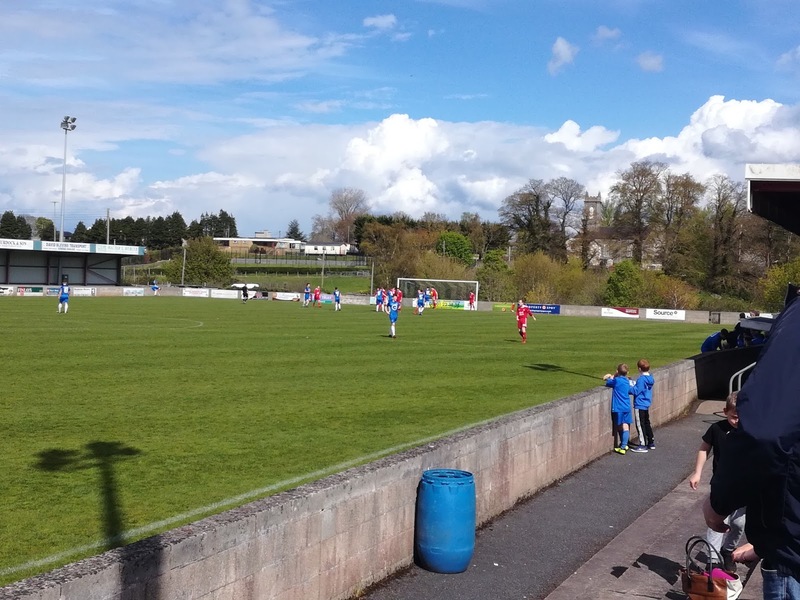 Institute have won the division and with Newry City grabbing the play-off spot, the game was all about pride. Sometimes games like this can be dull and uneventful, but in this case it was far from it. 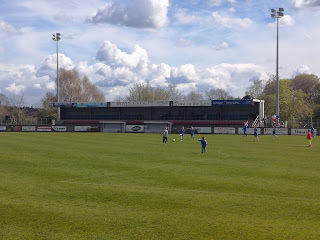 Comrades took the lead in the fourth minute via Gary Brown, but by the ten minute mark the scores were level when Gary Liggett netted from just six yards out for the hosts. The visitors continued to press forward and regained the lead just prior to the half hour mark when Michael McQuitty showed great skill and improvisation when he flicked the ball into the net from six yards out despite having his back to goal. It was 3-1 ten minutes before half time when a break down the left saw the ball played tantalisingly across the face of the goal for Chris Middleton to make no mistake. It became 4-1 just after the break when Brown scored via a one on one with the goalkeeper and soon it became five when Mark Kelly slotted home a penalty kick. Loughgall didn’t give up though, two minutes after conceding the fifth goal, Nathaniel Ferris found the net from close range, and then with twenty minutes remaining, the same player got his second goal of the game. A grandstand finish was promised, but it didn’t quite materialise. 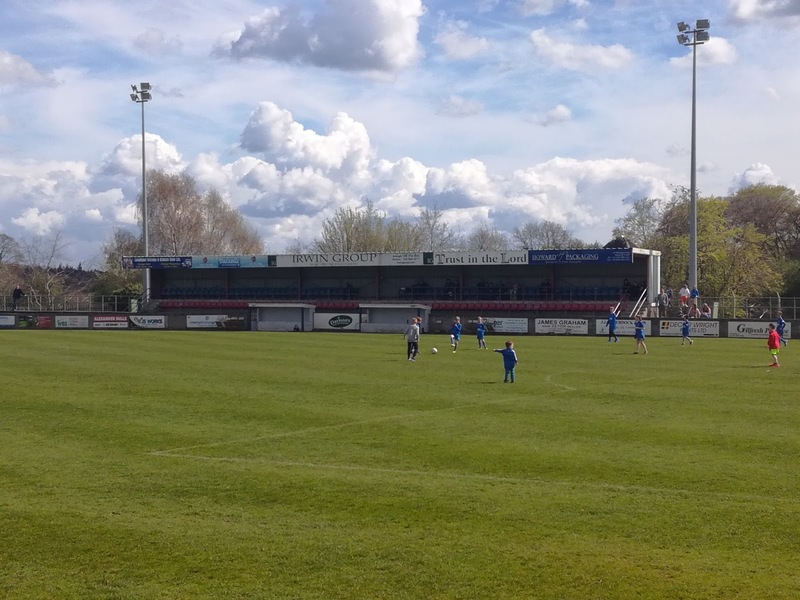 Ballyclare regained their composure and saw the game through to its conclusion without any further scares. It had been a great game of football, and a great way to finish a weekend of football. Back in Portadown there was time for a couple more latch-lifters at McKeevers before the train back to Belfast. It was a quiet night back in Belfast and a relatively early night, but that gave me the chance to make my way over to the Cathedral Quarter on Sunday and sample a couple of pubs that had been recommended, Bittles and the brilliant Duke of York with its collection of old football programmes decorating the walls. 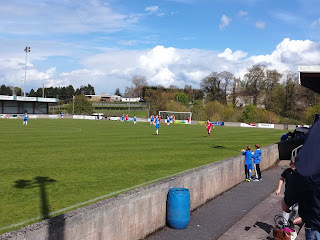 Another fantastic trip, and really happy that I finally got to Loughgall. It might have taken a bit of work to find my way to Lakeview Park, but it was certainly worth it in the end!